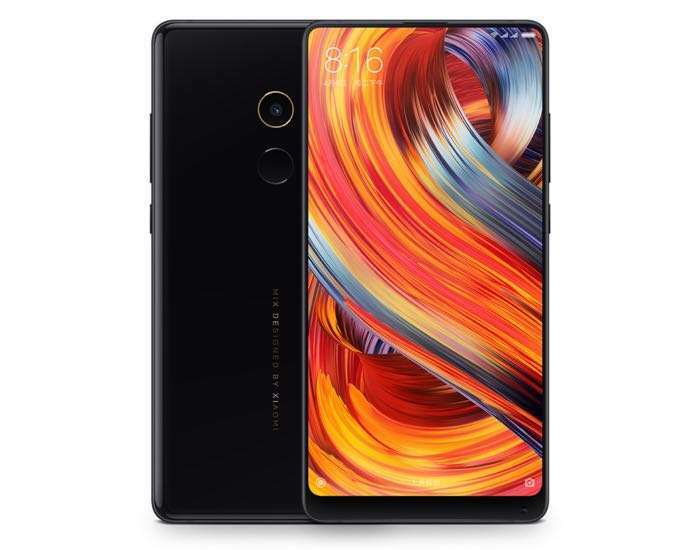 We have been hearing rumors about the new Xiaomi Mi Mix 2 for the last few weeks. The new Xiaomi Mi Mix 2 is now official and we have all the details on Xiaomi’s latest smartphone. The handset is equipped with a 5.99 inch display, this is smaller than the previous model which had a 6.44 inch display. The display on the handset has a resolution of 2160 x 1080 pixels. The new Xiaomi Mi Mix 2 is powered by the Qualcomm Snapdragon 835 processor and the device comes with 6GB of RAM as standard. and 64GB, 128GB and 256GB of storage. There will be a special Ceramic Edition version of the handset which will come with 8GB of RAM. This device also comes with 128GB of storage. The handset will feature a 3400 mAh battery and will come with MIUI 9 which is based on Android Nougat. The Xiaomi Mi Mix 2 will feature a 5 megapixel front camera for Selfies and a 12 megapixel rear camera for photos and videos. Connectivity comes in the form of 4G LTE, WiFi and Bluetooth 5.0. Xiaomi will launch the handset in China on the 15th of September and pricing will start at about $500.